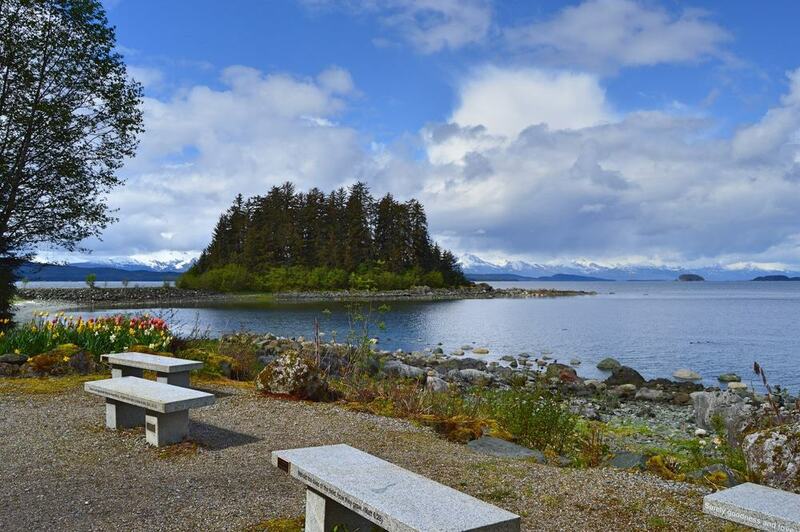 As the capital of the US State of Alsaka, you may expect Juneau to be a metropolis of a city. However, this historic town has much to offer in terms of history and is interestingly the only state capital that can only be reached by aeroplane or boat. There are no roads to Juneau. A mix of old and new, the main hub is the waterfront where you’ll see cruise ships, fishing boats and the occasional sea plane bringing visitors to this unique destination. The city centre has a variety of different things to see and do, however the main reason people choose to visit Juneau, is for the amazing natural scenery and abundant wildlife. Visiting the oldest city in Alsaka means learning about the gold rush days, seeing many creatures you would not see anywhere else and natural beauty lwhich can be compared to few other places on earth. Here are some of the best 15 things to do in Juneau which will make you want to visit soon. Between April and September, you have the chance to these amazing sea creatures in their natural habitat. 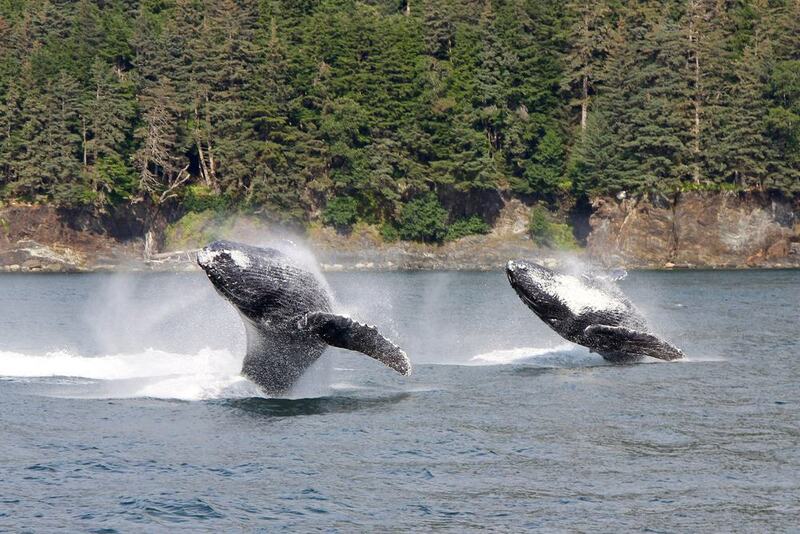 The most sought-after whales to spot are the migrating humpbacks and resident orcas. Over 500 humpback whales make their way to Southeast Alaska’s Inside Passage which is their home during the summer months. You can see them flip, breach and hunt for food using the bubble technique of blowing bubbles to bring fish to the surface of the water. There are many different tours you can take from large boats to intimate boats of just a few passengers. Most operators will guarantee you see whales during your trip, they are that confident that the whales are there. Take a short two-mile round-trip hike to this wonderful waterfall near to the glacier. The walk is easy for even the most novice hikers. 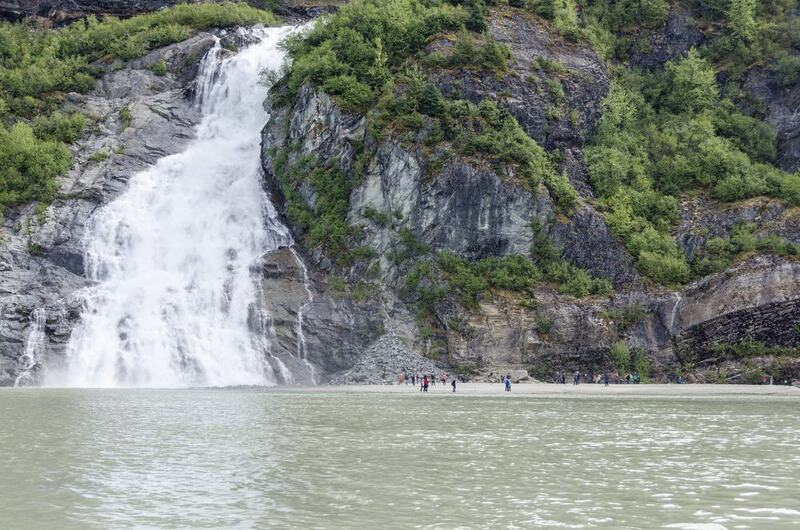 You will see a large beach in front of the falls and the glacier in the background. You can observe the waterfall from different photo spots and even walk right up to it if the weather conditions are good. Start the walk at the photo point trail, all the way around Mendenhall Lake to the waterfall. Make sure you plan for the rain when you take a hike here though, because although it is a short hike you are very likely to get wet. 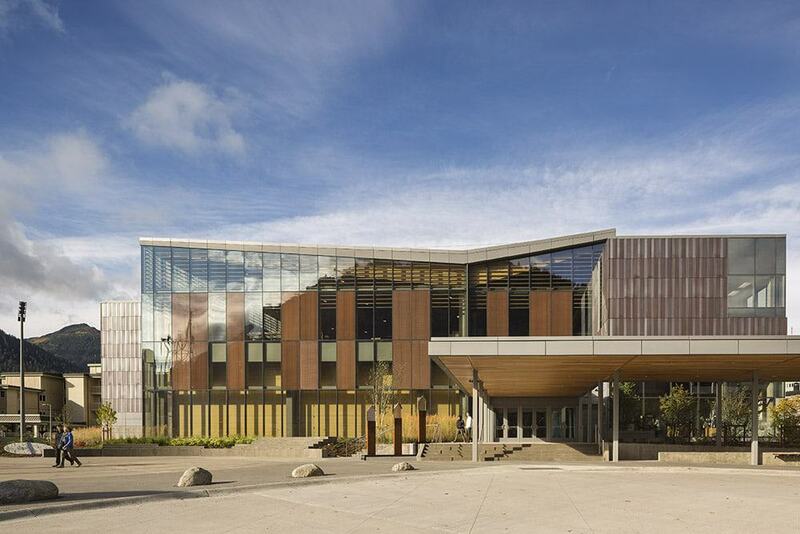 This museum is full of artefacts which tells the story of the history of Alaska. If you want to learn more about the history of the town and state, then this is a great place to start. Exhibits are set into sections which showcase displays of fine art, topics including mining, fishing, forestry and tourism, and not to mention the Russian-American period, and World War Two. There is also a discovery room where you can climb-aboard replica of an early sailing ship and offering activities for both children and adults. Each summer there is a new changing temporary exhibition and don’t forget the state library and national archives too. 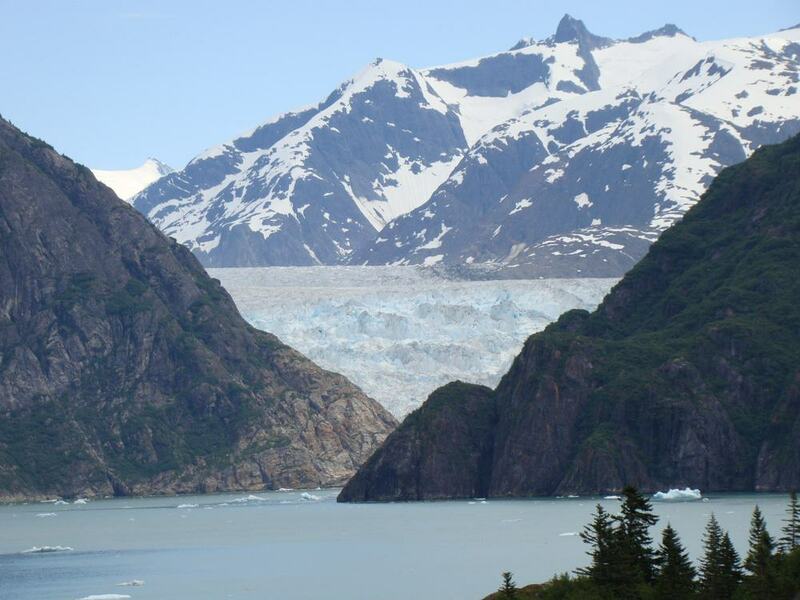 Probably one of the most popular reasons tourists visit Juneau is to visit the Mendenhall Glacier. There are plenty of amazing views and photo opportunities whether you want to hike the glacier or not. The great thing about the glacier is that due to the ever changing, shifting ice, every visit is different and gives another view. The visitor centre has a theatre which shows a 15-minute film on Mendenhall Glacier, a book shop, and exhibits on wildlife, history, and glacial and geological changes. There’s also plenty of wildlife in the area to see, however this does mean that food is not allowed outdoors at certain times of the year. This area is easily accessible by road, ferry and also cruise ship terminal. So, you have no excuse not to visit. Located 22 miles north of downtown Juneau this shrine welcomes people of all faiths and from all of the world and has done for 80 years. St. Thérèse of Lisieux is the patron saint of Alaska, missionaries, and the Diocese of Juneau. She is known for her quotes and writings that all that mattered in life was not our great deeds, but our great love. Not only can you visit and pay respects in this lovely church, but you can also take part in spiritual experiences. 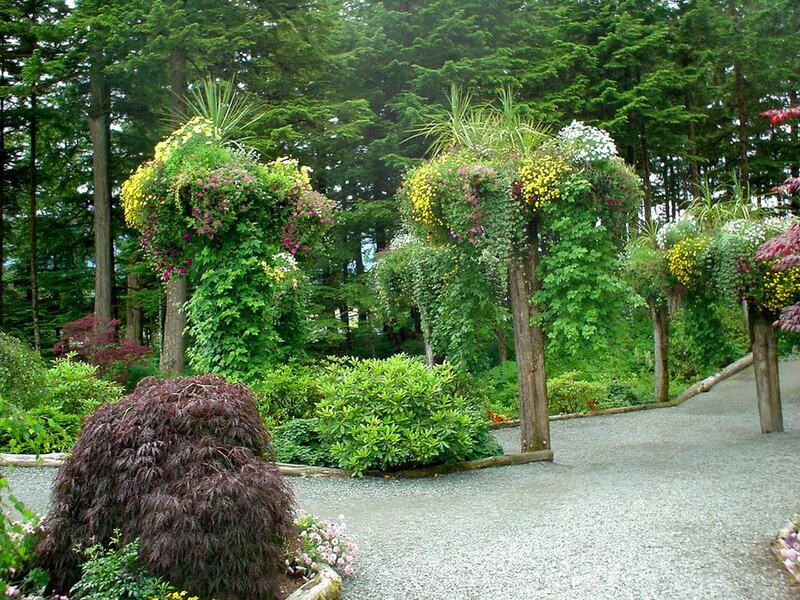 Not only is the shrine a peaceful and calm place to visit, there are also beautiful gardens to explore and enjoy. At this brewery you can take a free tour and learn all about the brewery, the beers and the founders. A true American success story. You will also get to taste local beer crafted for your own tastes, even beers that are not publically on the market. 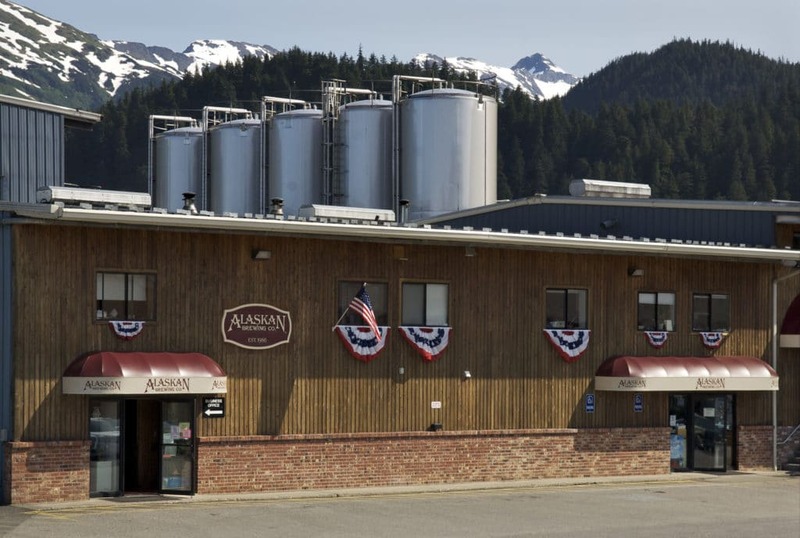 If you are a beer lover, then you will really enjoy this place which you can find in east Juneau on Shaune Drive. Book a tour or just turn up and ask, it is worthwhile to explore a local business and purchase some excellent tasting beers. Also remember there is a limit on how many drinks you can purchase in one place so keep that in mind when visiting. So yes, there are plenty of natural attractions to keep yourself busy in Juneau. However, the rainforest gardens are a lovely creative attraction to explore. The owners have been really imaginative with their displays and you can expect tree art, flower towers and beautiful rainforest plants. You visit includes a fully guided tour where you will learn about the plants and flowers and take in spectacular panoramic views of Juneau. There is also a resident bald eagle nest, so you may spot these magnificent creatures here too. If you are looking for adventure and a different thing to do in Juneau, then a thrill-seeking zip lining adventure might be your thing. Take a boat ride out to the shelter where you will be kitted up and set off out into the forest to enjoy your tree canopy adventure. 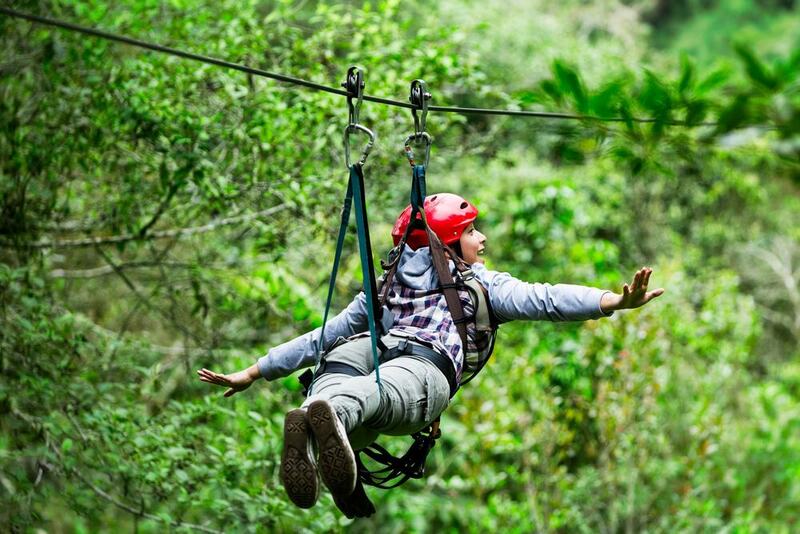 Try out the ten ziplines, two suspension bridges and 42 foot abseil for returning to the ground. Great as a group of people or for families wanting to enjoy some time doing an alternative activity out of the city. On Glacier Highway in Juneau you will find Eagle Beach. Being able to see bald eagles in their natural habitat, you may expect this place to be busy with tourists wanting to see these infamous birds. The beach is so large that you are able to walk along and experience a large area on your own. You will see bald eagles in their natural habitat both close up and in the distance. A tip is to visit at low tide as this is when the eagles tend to visit to pick at the fish on the flats. 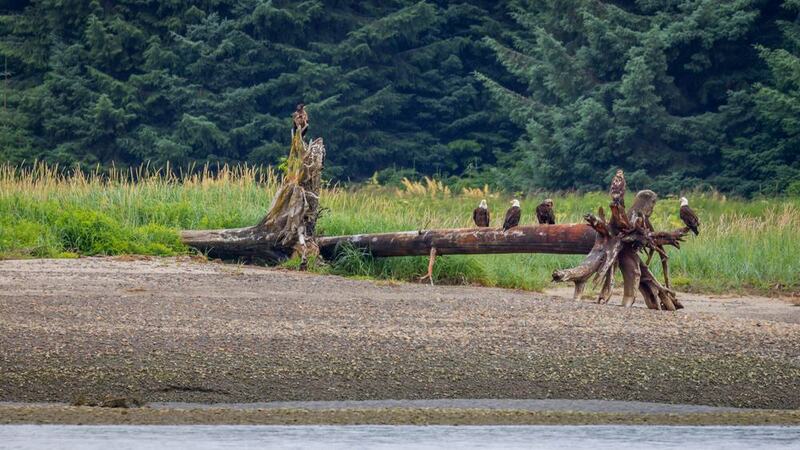 This is probably the best place to see these beautiful birds in the wild in Alaska. Mount Roberts trail and tramway will help you to explore the mountain peak. 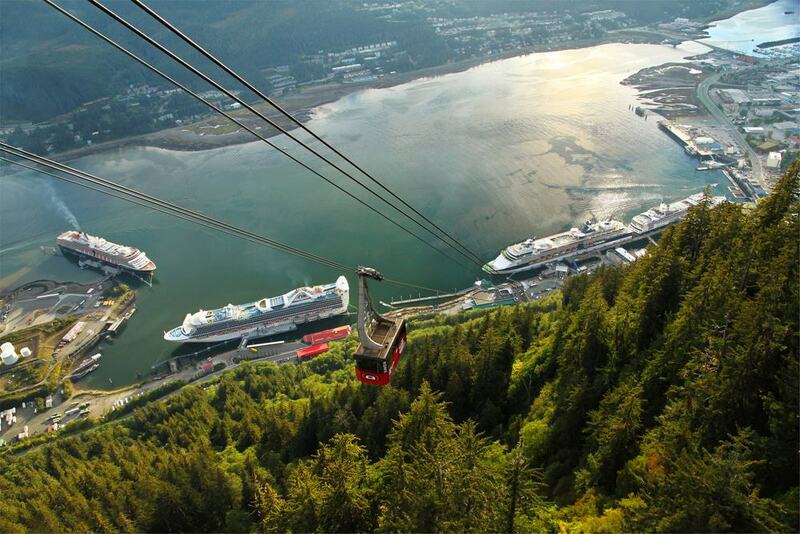 The six-minute tram ride gives you amazing views of the Gastineau Channel, Douglas Island and the city of Juneau. The tram ride is worth it for the views, and you can also enjoy the trail and visitor centre here. Learn about the destination, nature and wildlife whilst exploring the interactive exhibits. For even more spectacular views you can take the hiking trail to Gastineau Peak. There are many different short trails to take from here and you can explore on your own or take a guide. Due to the vast and beautiful rivers and lakes in this region, there are many tour operators that will offer water sport activities. 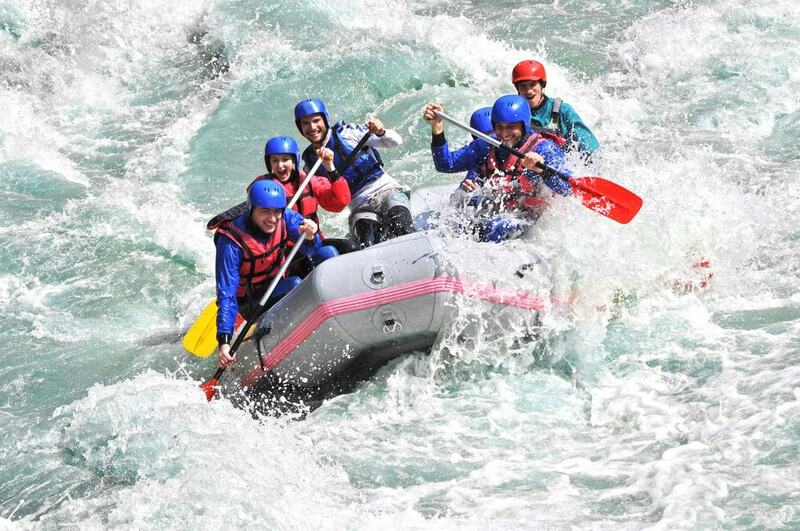 River rafting tours let you choose between white water adventures and a scenic float trip. This means no matter what your age or ability you can enjoy some time on the water. The main thing is to get out of the city and spend some time in nature exerting yourself and reaping the benefits of the fresh mountain air. Although this fjord is one of the most famous attractions in Juneau it is actually located about 45 miles south of the city. The fjord is named after the Secretary of the Navy Benjamin Franklin Tracy and is found in the heart of the wilderness that is a fabulous 2,643.32 km2. Take a cruise down the narrow fjord past waterfalls, amazing scenery and the beautiful glacier. Small cruise ships can get a lot closer than the larger ones, so you should choose your tour carefully. Visiting the island is a chance to get out into the wilderness. 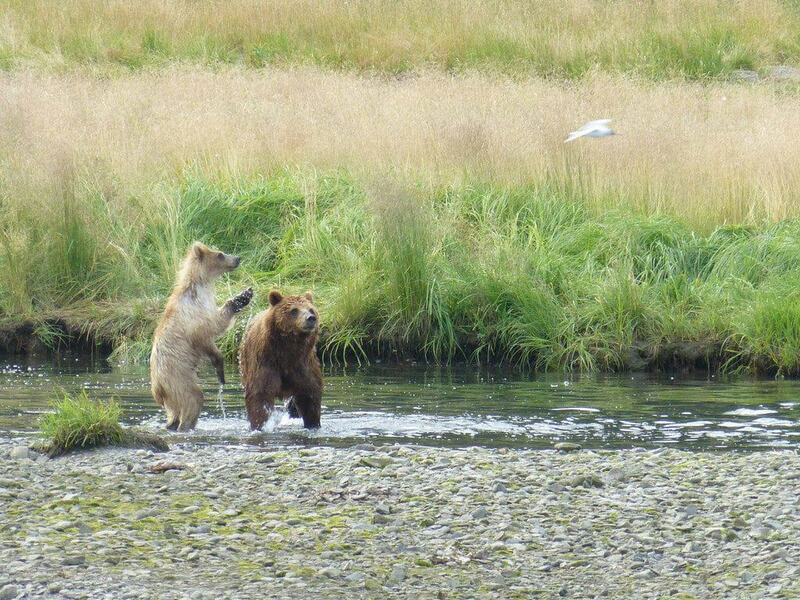 Have you ever thought about seeing brown bears from afar in their natural habitat? Well this is very real on Admiralty Island. In terms of population density, there is one brown bear per square mile. So, you have a very good chance of seeing these creatures at home on their very own island. If you want to visit the Pack Creek viewing area then you need to book in advance and get a permit, but this is the best way to safely observe bears without disturbing their natural habitat. You can also see historic fish canneries, whaling stations and mining cabins, as well as absolutely beautiful landscape scenery. This is a small museum I the mountains dedicated to mining and panning for gold. You can take a tour, but you don’t really need a guide as the exhibits are well labelled and explained. 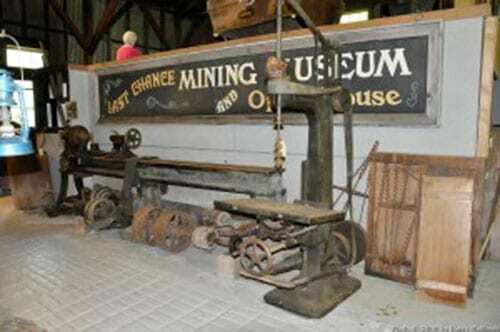 Learn about the history of the gold rush days and explore old mining machinery and artefacts from the mines and the miners who worked here. After your visit to the museum you can try your hand at panning for gold in the river located just in front. Buy a pan or bring your own and you may just find some specs of gold to call your own. Juneau’s down town is filled with plenty of things to see and do. 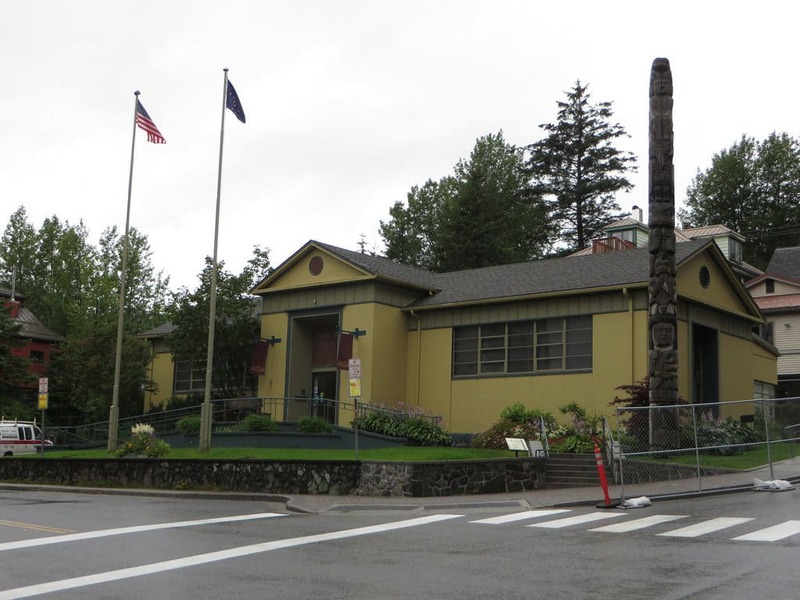 One of the most popular museums is the Juneau – Douglas City Museum which houses exhibits focusing on local history, art and culture. Then there is the Walter Soboleff Building which contains Alaska’s largest installation of Southeast Alaska Native art. 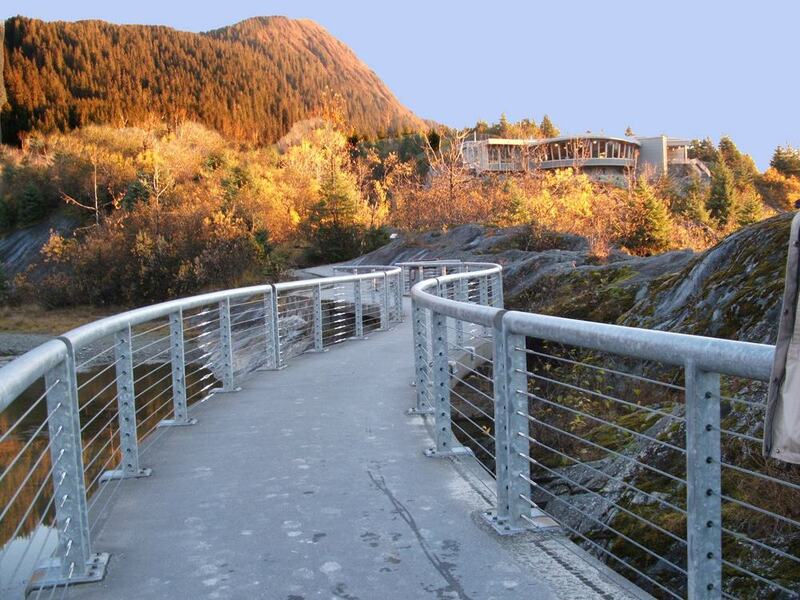 Some say that Juneau itself is one big museum and when you visit you will see why. There are saloons dating back to 1914, historic churches, memorials and interesting architecture.